A Cold Inferno – Dangerous Times – The World is Silent! The Cold War is on fire. When a Russian citizen is shot in the back while walking down the street because he dared speak out against the administration. The world is silent. It was suggested to me recently that the Cold War should have been labeled World War III from the start. I thought it sounded funny at the time but after the last year of Mr. Putin’s antics we may be witnessing the assembly of yet another dark chapter in European history. A book that has become way to thick for the times. I mention history because not many of us care to recall how Hitler was ignored for years before the “turn the other cheek crowd” had no choice but to die or fight. The world is silent; no one is speaking out! We have Islamic terrorist group committing unspeakable acts against humanity. Crucifixions, be-headings, and burning people alive in cages. Except for Jordon; the world is silent. There is a country, Iran, who sponsors terrorist groups on three continents. They have made it clear that they intend to wipe Israel off the face of the earth. They are in the final stages of assembling a very large number of nuclear bombs. All the while the US President reassures us that he can talk these deceitful hate mongers into a peaceful end. The American’s remain silent. I hope we still have our planet when we next examine this period in our past. It was Mr. Churchill who said, “Those who do not study history are destined to repeat it”. The silence is deafening and getting louder by each indecision! A Cold Inferno - Dangerous Times - The World is Silent! On the edge of my seat one minute, laughing out loud at others, I was truly delighted by this unusual story. It’s not often that an action-adventure book with a military setting is filled with humor, but this one is! And there is suspense a-plenty. I found it hard to put this book down. The value-added is that one learns a lot of heretofore virtually unknown U.S. military history (because it was top secret at the time) from the period of 1968 − 1970. Clearly, author Bill Fortin has done his homework, and educates non-military readers with a series of footnotes explaining military jargon, events, equipment, protocol, ritual, etc. “RedEye: Fulda Cold” is a thoroughly absorbing and entertaining novel. I highly recommend it. A Cold War Redeye Memory! Note: I’m very glad to make your acquaintance, George. Thank you for taking the time to contact me and know that I am honored to make your acquaintance. I downloaded Redeye Fulda Cold from Amazon and am only a little over a quarter of the way into your book and loving it for a couple of reasons. First because I was a project officer involved with the introduction of Redeye to US Army Hawaii in the early 70’s. Second, because as an enlisted man I was assigned to an armored 155 field artillery battalion located in Hammelburg, Germany back in the 50’s. Our mission was to support an armored cavalry unit patrolling the Fulda Gap. Your book is wakening many dormant memories and impressions I had of my first overseas tour in Germany, the alerts, the times spent in the field and of the many unique characters I encountered in my adventures as a young soldier. I can closely associate with the situations you’ve so far revealed. Your book isn’t just telling what I’m sure will be an interesting story but revealing the emotions that soldiers feel as they are put through the mill and the Snafu’s which are so prevalent in the military. It’s easy for me to identify with your role in this book. I feel as if I’m right there with you. 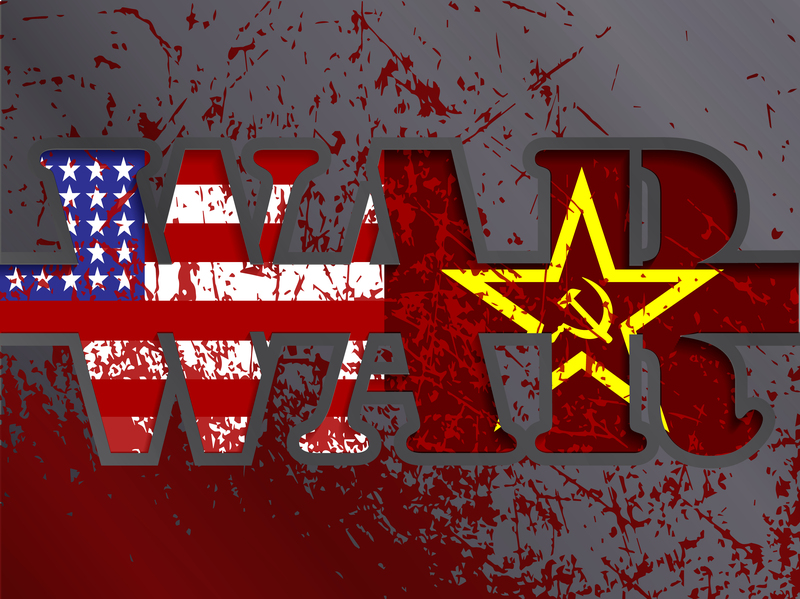 A Cold War Warrior’s Note! I downloaded Redeye Fulda Cold from Amazon and am only a little over a quarter of the way into your book and loving it for a couple of reasons. First because I was a project officer involved with the introduction of Redeye to US Army Hawaii in the early 70’s. Second, because as an enlisted man I was assigned to an armored 155 field artillery battalion located in Hammelburg, Germany back in the 50’s. Our mission was to support an armored cavalry unit patrolling the Fulda Gap. Your book is wakening many dormant memories and impressions I had of my first overseas tour in Germany, the alerts, the times spent in the field and of the many unique characters I encountered in my adventures as a young soldier. humorous anecdotes of life in the U.S. Military in Europe in the 1960s. in our history except by those who served in it. Funny, insightful and history with a twist of irreverence. A blend of History Channel told by characters from M.A.S.H. I found the story line fascinating and knowing the author was ‘there’ made it come alive. The background, footnotes and attention to detail of the characters and locations brings the story alive and hard to put down. Not sure how to top this story. Well done. Many people forget that during the Vietnam War era there was another war going on; one that had been raging since the 1950’s – the Cold War. While brave men were dying in Vietnam, equally brave men were facing an enemy much more lethal than those in Southeast Asia – namely the Soviet Union. Redeye Fulda Cold brings to light the rigors and experiences of those in the 3AD, as well as humorous anecdotes of life in the US Military in Europe in the 1960’s. The Cold War, places like the Fulda Gap, and the threats and missions our soldiers faced in this environment are all but forgotten except by those that served there and veterans of that era, will find this book especially memory-invoking. Redeye Fulda Cold opens the window pane of military history during the Cold War in an interesting and especially accurate manner, and it is a must read! A Possible Scenario for Plugging the Gap! This review is from www.Amazon.com: Redeye Fulda Cold: A War in the Cold Novel(Paperback Edition) July 2, 2014 – Martin Milco – 5.0 out of 5 stars on Amazon! I served in Gelnhausen as 1st Platoon Leader. Bravo Company, 1st Battalion 48th Infantry. My time there did not overlap with the author’s, but this is an excellent, and at times humorous account of Cold Warriors whose mission it was to plug the Fulda Gap in the event of a Warsaw Pact invasion of Western Europe, I highly recommend this story for those interested in this period of history. Although written as fiction, the novel does give a look and feel of what it was like for the two super-powers to stand eyeball to eyeball just a few kilometers apart for over 40 years. NATO forces were greatly disadvantaged in terms of personnel and armor versus its potential adversary. Consequently, planners and intelligence agencies were constantly devising and revising plans and operations to mitigate this enormous disparity. Fortin’s novel focuses on a unique operation within the overall defense plan. Parts of this story are gleaned from actual NATO OPLANs while others are a pure figment of the writer’s fertile imagination. Which is which? Who but the author knows? There were many soldiers like the Character, Rick, some draftees also like the protagonist, others volunteers who stood a watch on one of the world’s most vital walls of freedom. The Cold War was won by these warriors. Read this novel. The Cold War has recently gotten warmer. The recent events in the Ukraine has revealed the true nature of the Russian mindset. Exhibited time after time the Soviet desire to acquire the surrounding territories of the West has remained steadfast since the end of World War II. I’ll start this conversation by calling attention to one of the more notable architects of the Russian view, Nikita Sergeyevich Khrushche. Born April 3, 1894 he led the Soviet Union as First Secretary of the Communist Party from 1953 until 1964. His big break came in 1939 when Joseph Stalin sent him to govern the Ukraine and continue the purge of all who refused to bow to the Russian takeover. The recent headlines out of the Ukraine seem to support the age old premise that history does in deed repeat itself.